In this paper, we present ways of synthesizing sorbents based on bentonite clay-polyacrylic acid used in industrial wastewater and studying their physico-chemical properties. Cryogels were synthesized by radical polymerization based on bentonite clay (BС), brought from the East Kazakhstan region of Tarbagatai region, and polyacrylic acid (PAA), characterized by porosity by the definition of physicochemical properties. 1 %, 3 % and 5 % of bentonite clay, 0,25 % ammonium persulfate and 0,25 % sodium metabisulphite as initiator, 10 % acrylic acid, 10 % sodium hydroxide were used of synthesis of cryogels based on BC-PAA. The optimal temperature is -30°C and 24 hours. In addition, the physico-chemical properties of obtained cryogels based on BC-PAA are investigated, and their density is about 1,5531 g/cm3, yield 95 %. This shows the economic efficiency of cryogels. Morphological structure of composite cryogels were carried out on a Leica DM 6000M optical microscope, Ntegra THERMA atomic force microscope and Quanta 3D 200i Dual system scanning electron microscope, which resulted in porosity, chemically crosslinked, homogeneous and negatively charged composite cryogel. Sorption properties of cryogels in relation to ions of heavy metals are considered. YESSENGULOVA, A. A. et al. Synthesis of cryogels based on bentonite clay-polyacrylic acid and research their physical-chemical properties. International Journal of Biology and Chemistry, [S.l. ], v. 10, n. 1, p. 92-96, june 2017. ISSN 2409-370X. Available at: <http://ijbch.kaznu.kz/index.php/kaznu/article/view/277>. Date accessed: 21 apr. 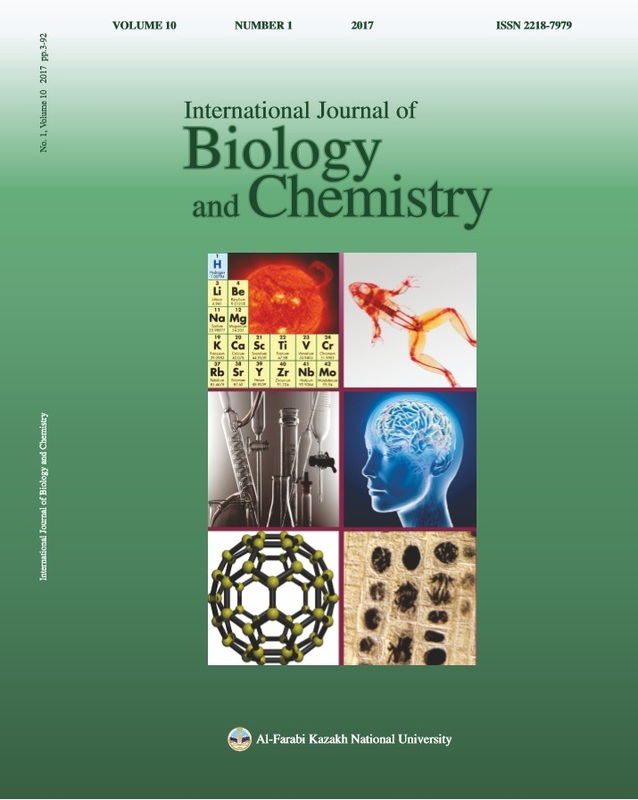 2019. doi: https://doi.org/10.26577/2218-7979-2017-10-1-92-96.